I was never a Lego kid. I guess I didn't have the patience or the imagination to build a skyscraper or recreate a full size model of the Millennium Falcon. So when I had my own kids and I saw their prowess for them, I was so intrigued with how they could sit for an hour and construct something fabulous. And then we'd go on a playdate and see they had friends that were even more advanced and who were obsessed with these little bricks. 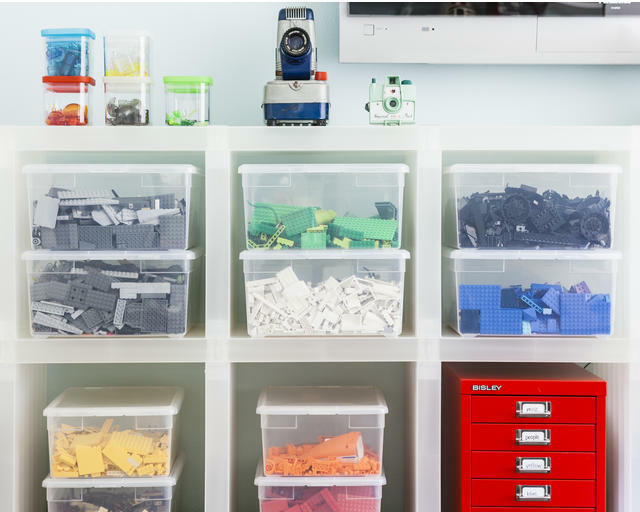 Those were the moms who had the best tips and tricks for Lego storage and to avoid a meltdown from not being able to find the correct pieces and parts and also avoid the mommy tears of those little things being all over the place (not to mention the tears of stepping on one of them that didn't get corralled). 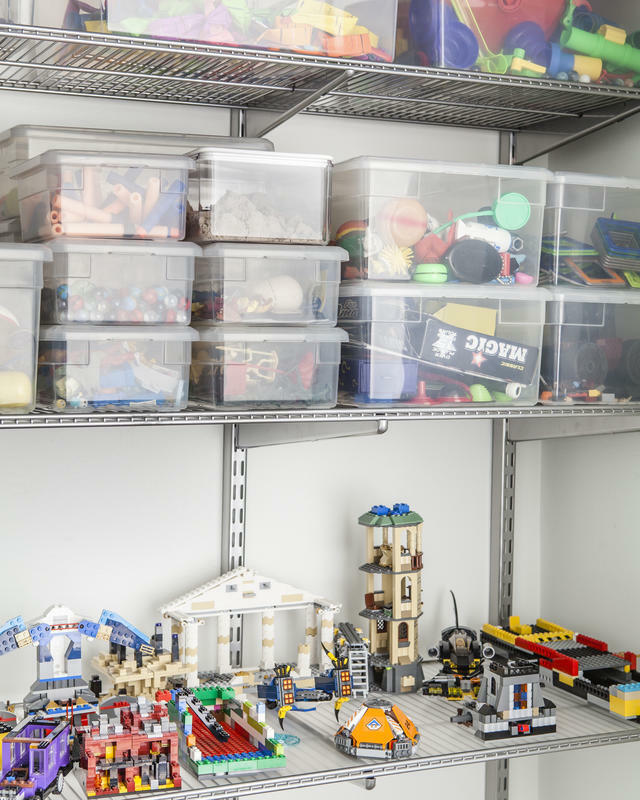 These little things can really begin to take over the house - so figuring out an organization system early will not only make you super happy but it's a great way to easily begin to teach those tykes the importance of organization and clean up time. 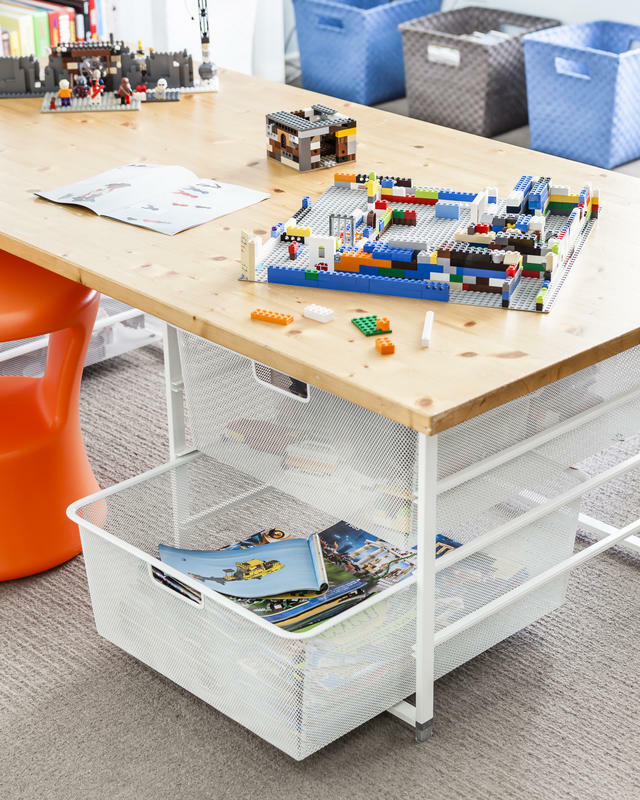 A designated building station made up of elfa drawers and a solid top gives little builders a solid surface plus great storage. 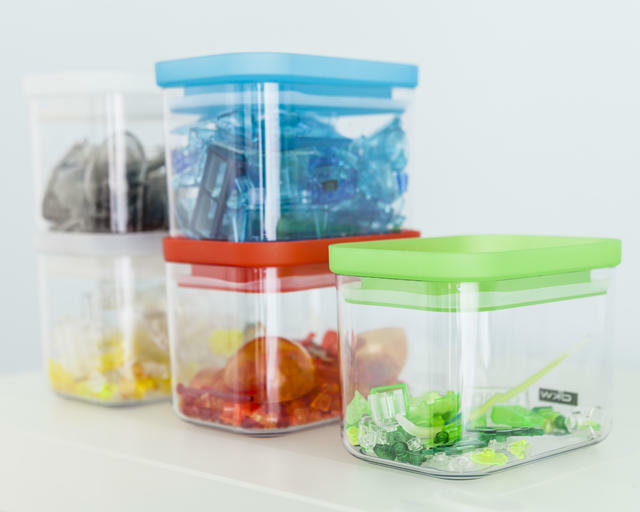 Color-code using containers with lids that coordinate with the pieces inside. We love these clear Rectangular Canisters that easily stack. Clear Shoe Boxes also make for great containers to store the pieces by color, shape, people or set. 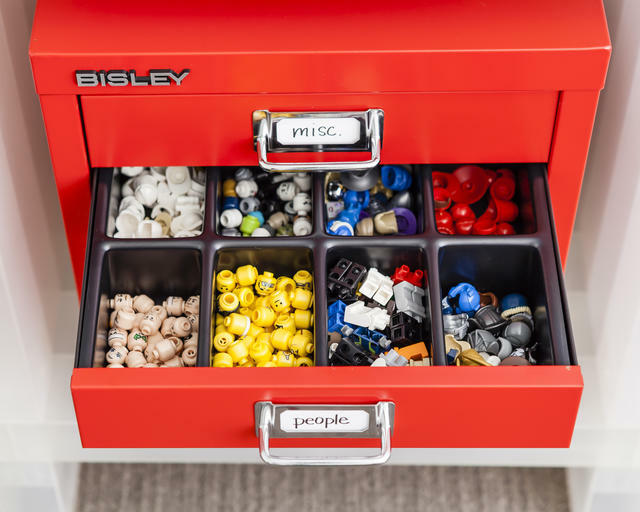 For the smaller pieces that can easily be lost, the Bisley Filing Cabinet is great. The bright colors look great and the variety of drawer inserts can be tailored to the pieces you are storing. Each drawer has a label for easy identification. 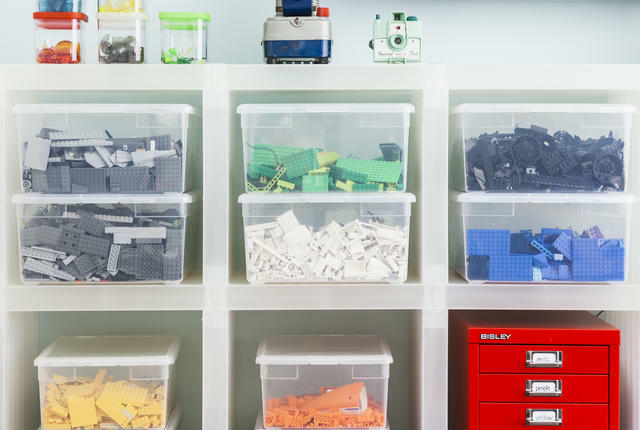 An adjustable shelving system is perfect as the collection grows. We used elfa ventilated shelving here and left shelf space for proudly displaying finished projects.